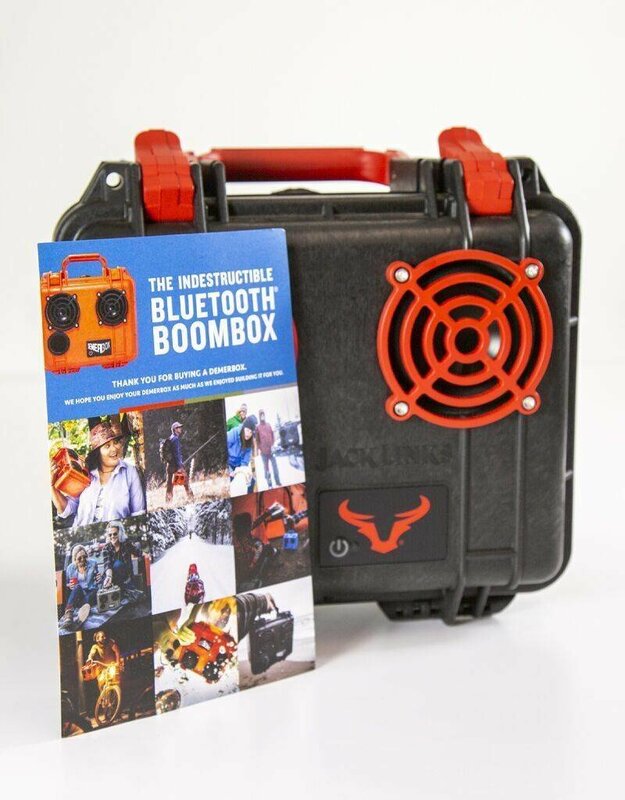 Rock any adventure with this super portable and durable powerful boombox! 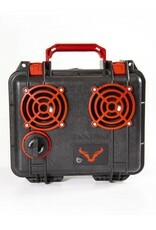 -Weatherproof Pelican Case helps to keep this DemerBox safe and dry. 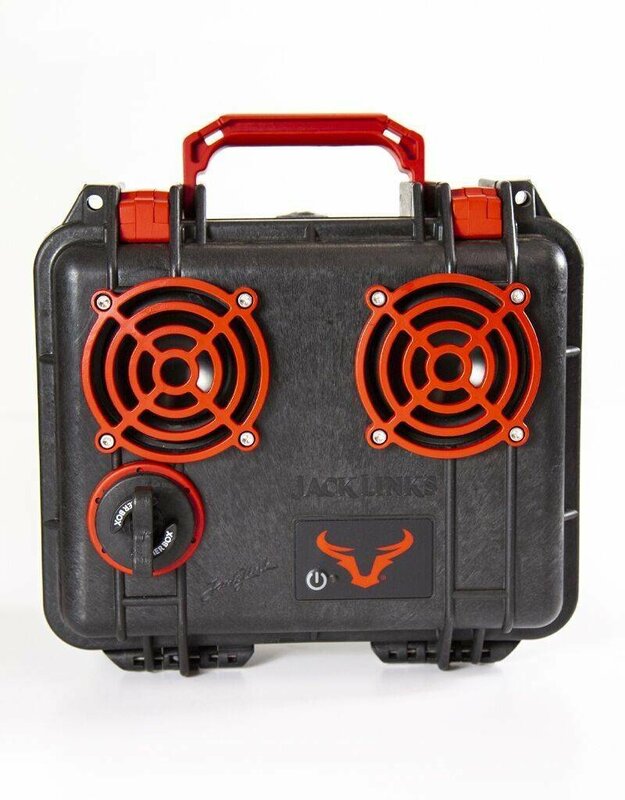 -50-hour battery life extends any adventure for those long days out in the wild. -Easy Bluetooth pairing with wireless range up to 100 feet. 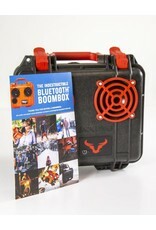 -Includes AC charger, Port Plug and AUX cable.